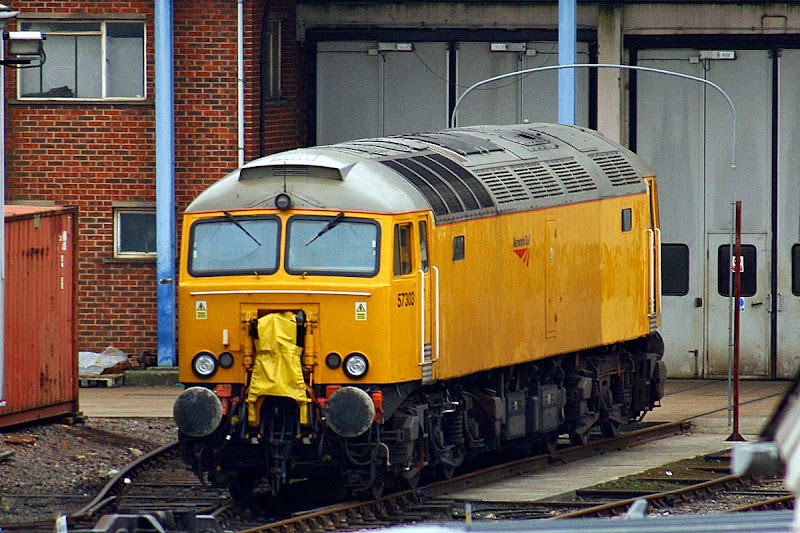 57303 at Eastleigh Works, 24th February. This has not worked since its failure at Dorchester in January. 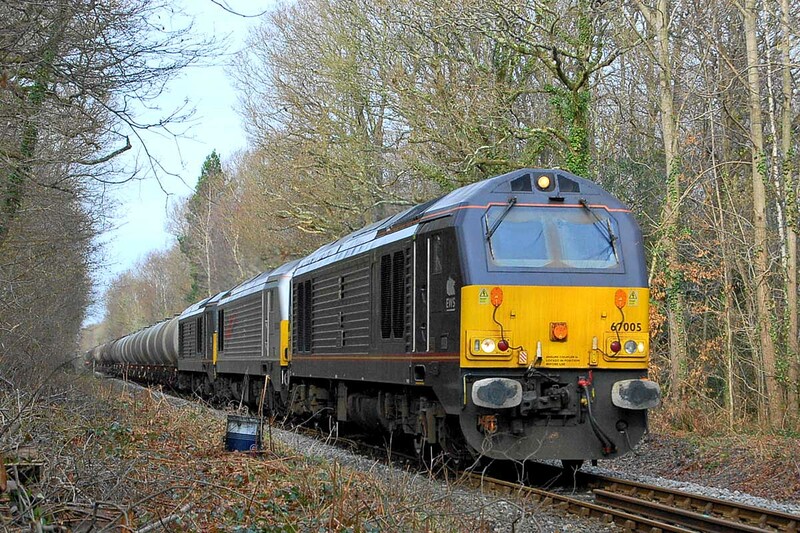 No more information yet on what 57312's failure has been. 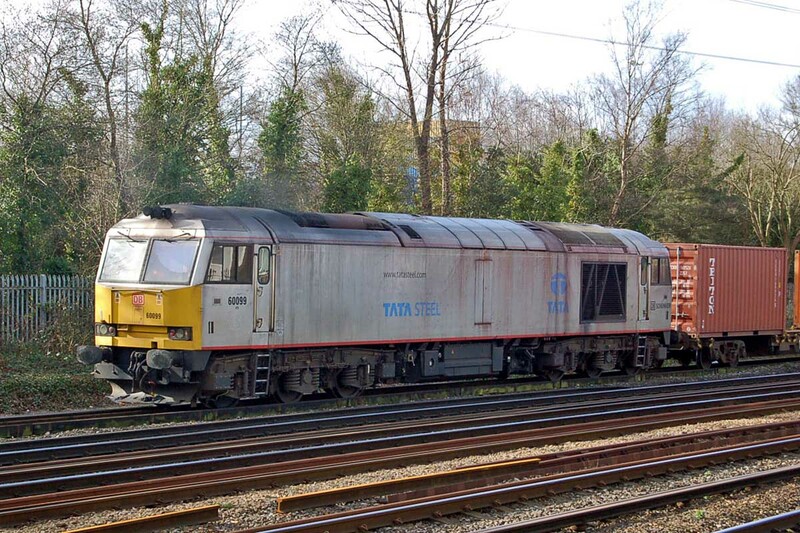 57303 does not seem to have worked since it failed and was sidelined at Dorchester. 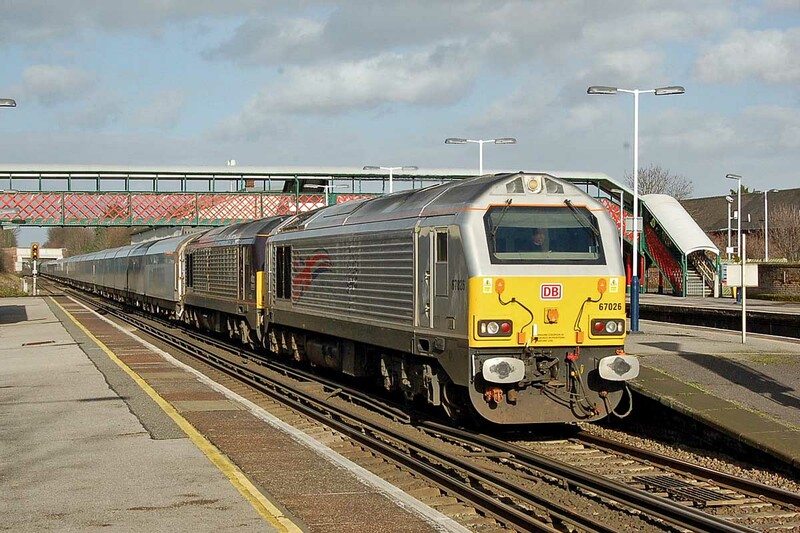 The three Class 58's which have been stored off their bogies at Eastleigh (58002, 58017, 58037), have been re-bogied for removal for scrap, possibly at Eastleigh Works. The sun shone and there are plenty more pictures HERE. 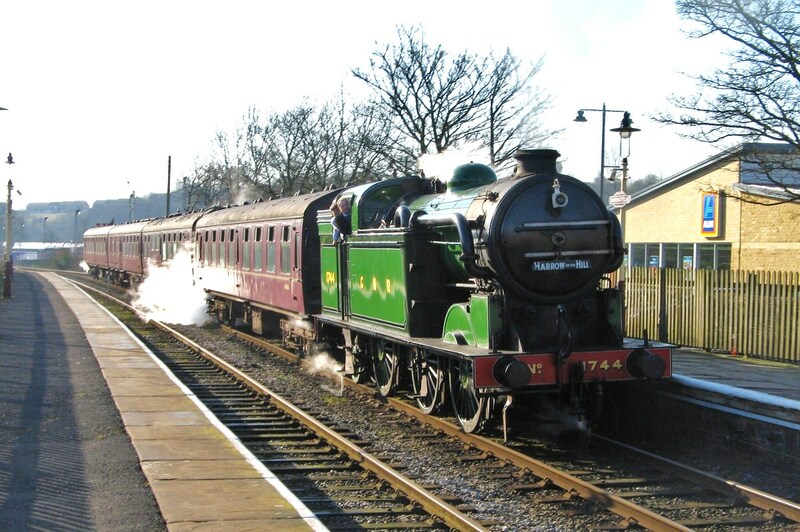 The East Lancashire Railway is well worth the visit. D335 (40135) at Baron St, having been working the day before. GNR N2 1744 arriving at Ramsbottom with the first steam train of the day. 51382 + 51339 arrive at Ramsbottom from Rawtenstall. LMS signalbox from 1938. 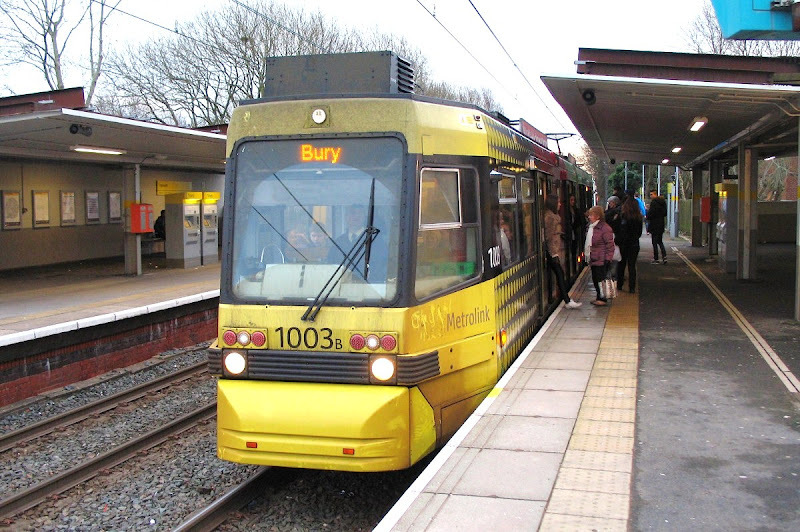 The DMU departs Bury Bolton Street for Heywood. D1501 (47402) and D7076 at Castlecroft. Two adjacent Wilkes & Ashmore designs. 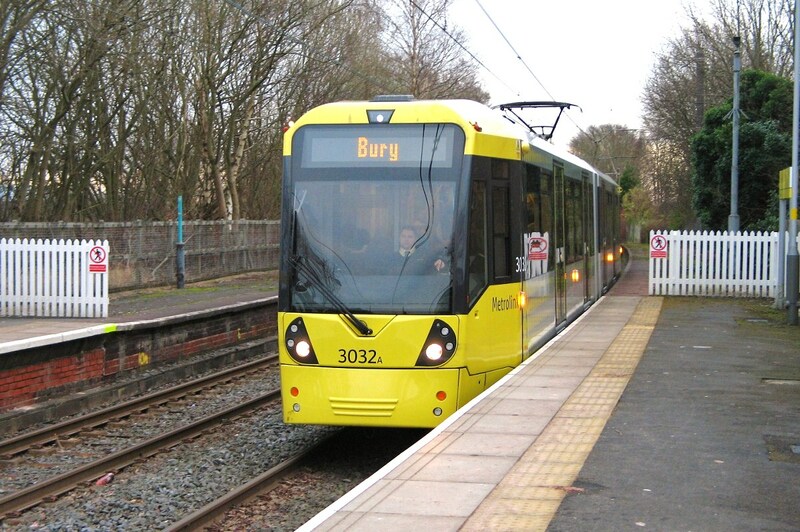 Having looked at the current trams at Prestwich, here is a look at a Bury line train in 1980. M65448 + M77169 (Wolverton, 1959) wait at Manchester Victoria on 10th September 1980, with a train for the then new Bury Interchange. 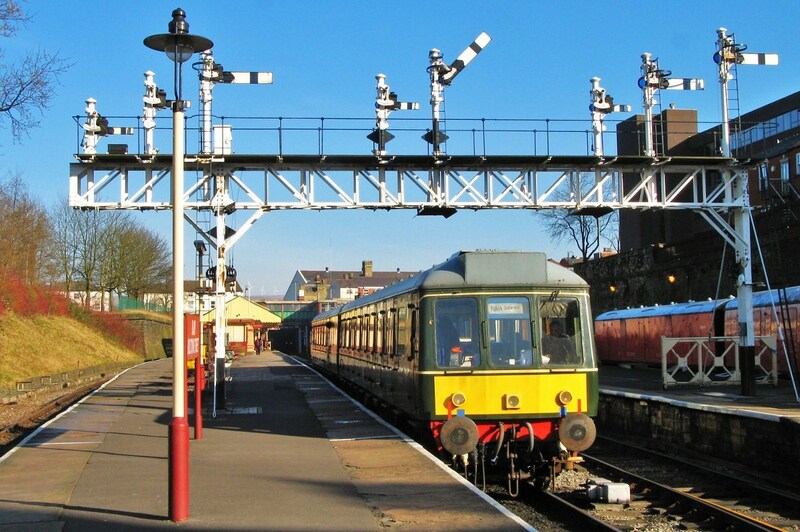 This train was the first withdrawn of those surviving in traffic into the 1980s, on this unique L&Y 1200V dc side contact third rail. The reason for withdrawal is now likely explained. T-68 1024A. These original 1992 cars come out of service by 2014.
seen use this year 57310 has been sidelined since December 2012." It was running on 6th Feb and returned with 57301 from Tonbridge on 12th. Is info correct re 57312? Any info on the failure? New as D1811 from Brush, Loughborough in February 1965. 47330 from April 1974, 47390 for a while in 1994-5. Out of service from June 2000, and readied for 57/3 conversion in June 2003, emerging in October as 57312 The Hood. 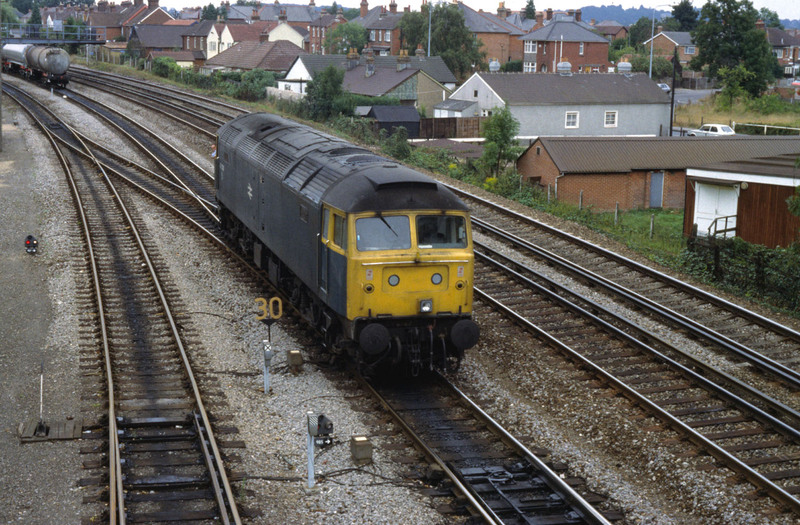 David Mant has shared this image of 47330 at Totton in 1989. 20310 + 20307 with the Spitfire Railtours "Wey-farer" charter at Ashurst, 19th April 2008. Both locomotives are currently being stripped at Carlisle Kingmoor, and are expected to be moved shortly to Booths at Rotherham for disposal. 20307 was new as D8050 in March 1961, from Robert Stephenson & Hawthorns Ltd, Darlington, and allocated to Sheffield Darnall. Renumbered 20128 in 1973. 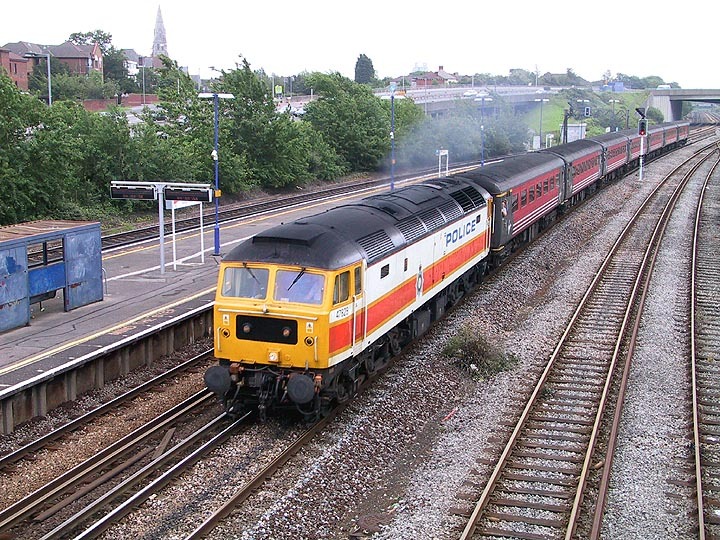 Refurbished to 20307 by RFS Doncaster in 1997-98. Stored by DRS in December 2008. 20310 was new as D8190 in January 1967, from Vulcan Foundry, Newton le Willows, and allocated to D16 (Nottingham division). Renumbered 20190 in 1973. 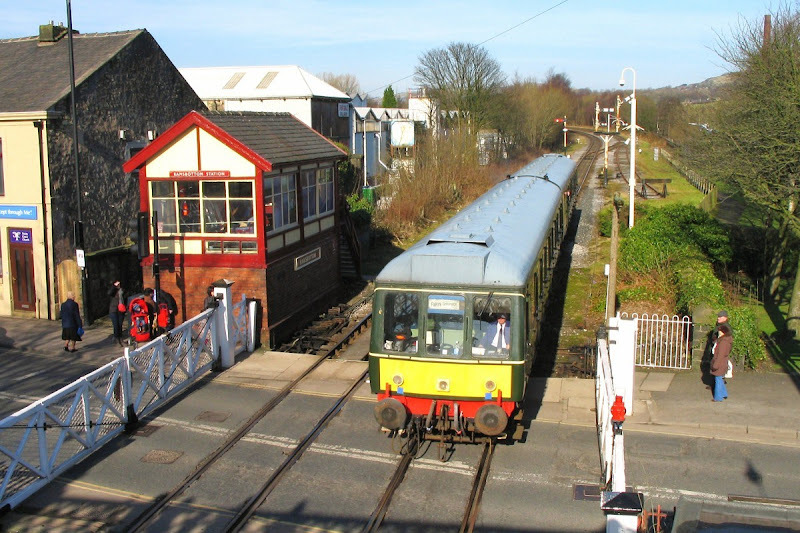 Refurbished to 20310 by RFS Doncaster in 1997-98. Stored by DRS in December 2008. 37411 Caerphilly Castle / Castell Caerfilli on display at Eastleigh Works, 22nd May 2009. Sent by DRS for refurbishment at Derby, but this appears cancelled, and the locomotive will move shortly to Booth's at Rotherham. 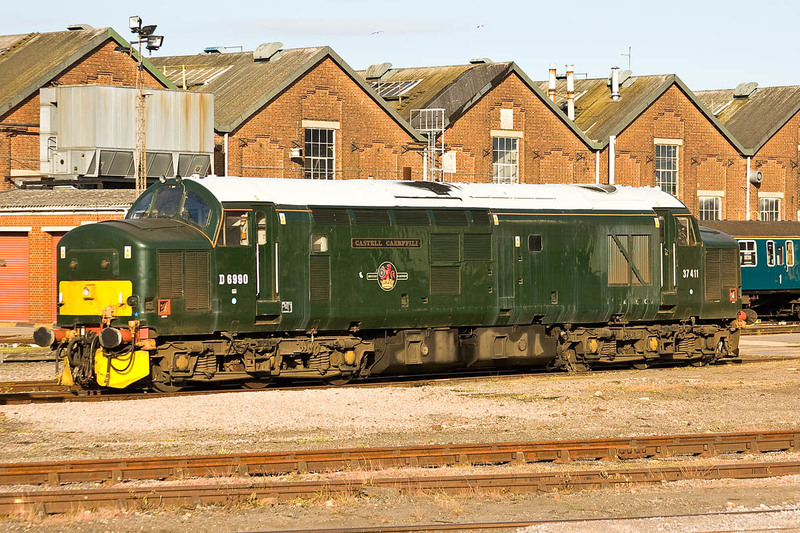 New from Vulcan Foundry in June 1965 as D6990, and allocated to Cardiff Canton. 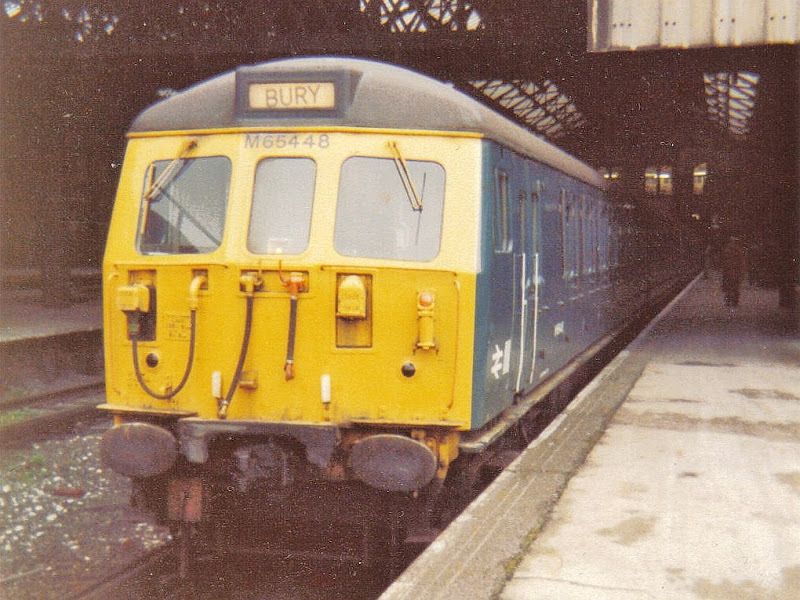 Renumbered to 37290 in March 1974. Overhauled to a Class 37/4 at Crewe in February to October 1985, and allocated to Motherwell for usage on the West Highland lines. 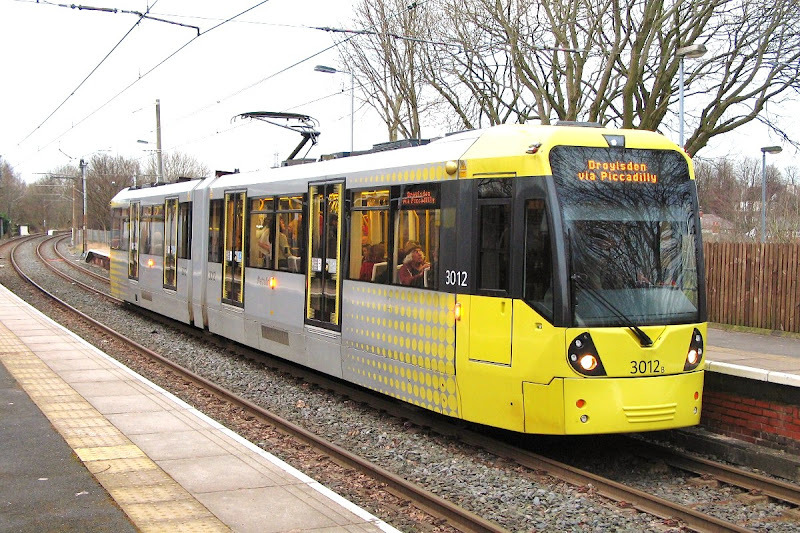 Transferred to Cardiff in 1989, Laira in 1990, Cardiff in 1994, St Blazey in 1994, Motherwll in 1996, Cardiff in 1996, Intermediate Overhaul at Crewe in 1997, Toton in 1998, Motherwell in 1999, Crewe in 2003, Margam in 2004, repainted in green 2005 at Toton, and named in November 2005. 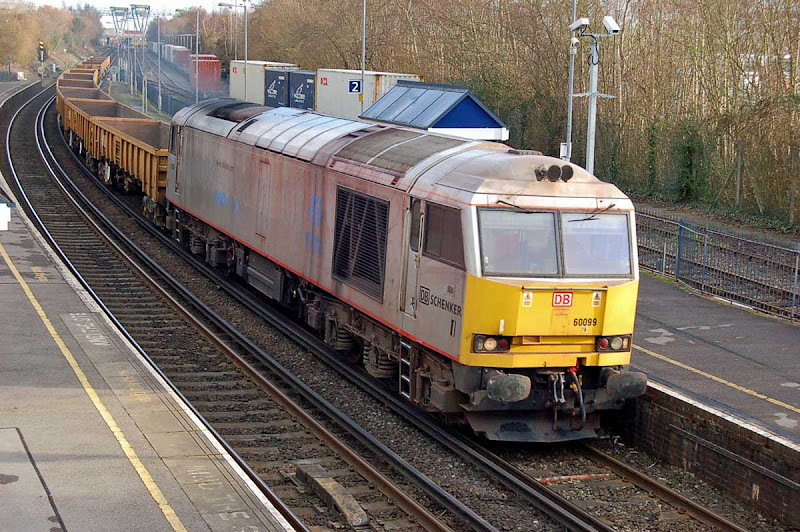 Stored in June 2006, with brief return to traffic in February 2007. 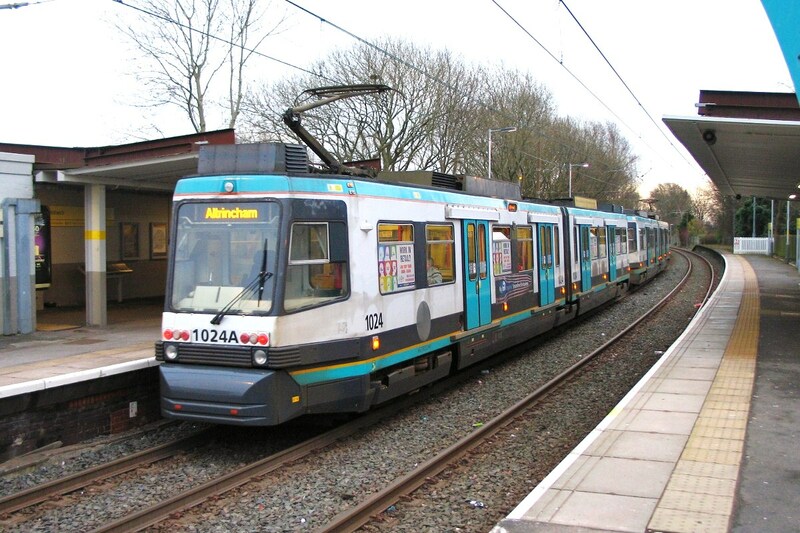 Transferred to Toton May 2007 and returned to traffic, stored February 2008. 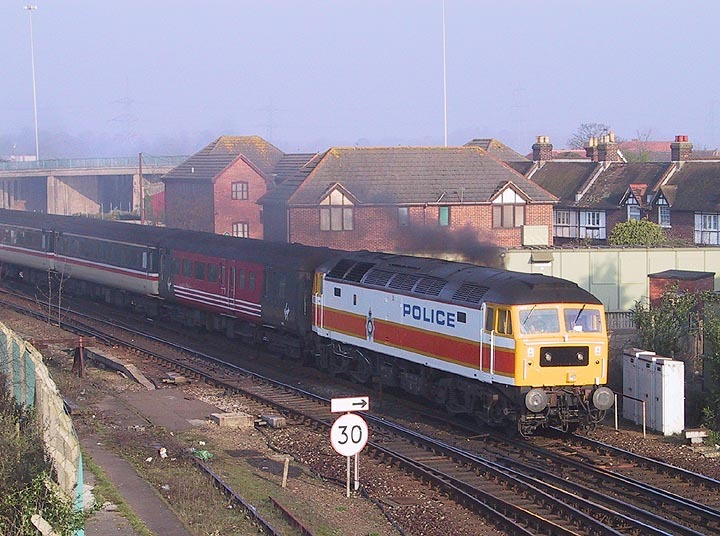 47829 in POLICE guise, passing Millbrook on 16th June 2002. 1O10 15:06 Reading - Bournemouth. 47829 at Redbridge, on the morning of Good Friday, 29th March 2002. 1M01 06:40 Poole - Liverpool. 47829 was new from Crewe Works in September 1965 as D1964 and allocated to 86A Cardiff Canton. Later 47264 and 47619, following ETH conversion in August 1984, renumbered to 47829 in June 1989. After Virgin Cross Country, it spent time working for Freightliner in 2003-04, but appears to have worked little after that with Riviera, ending its career with engine failure. 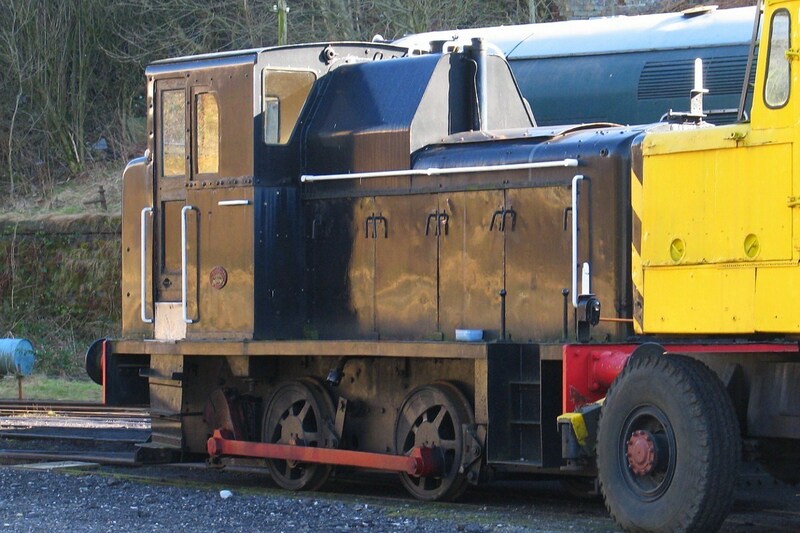 DRS and HNRC had interests, but the locomotive was placed in storage at Long Marston. Stripping took place at Booth's and the locomotive was cut up last week. 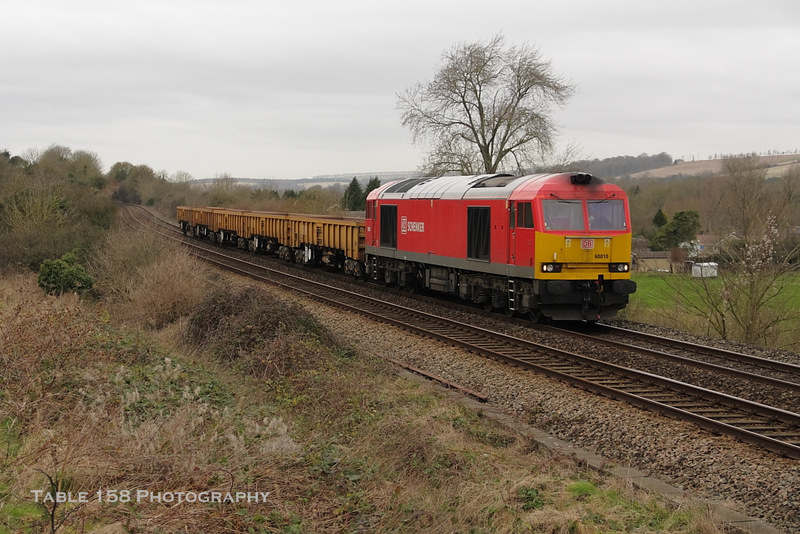 The Royal Skips working to Fawley, 67005 + 67026 + 67006, passing Trotts Lane, 7th February. Image by Ian Knight. 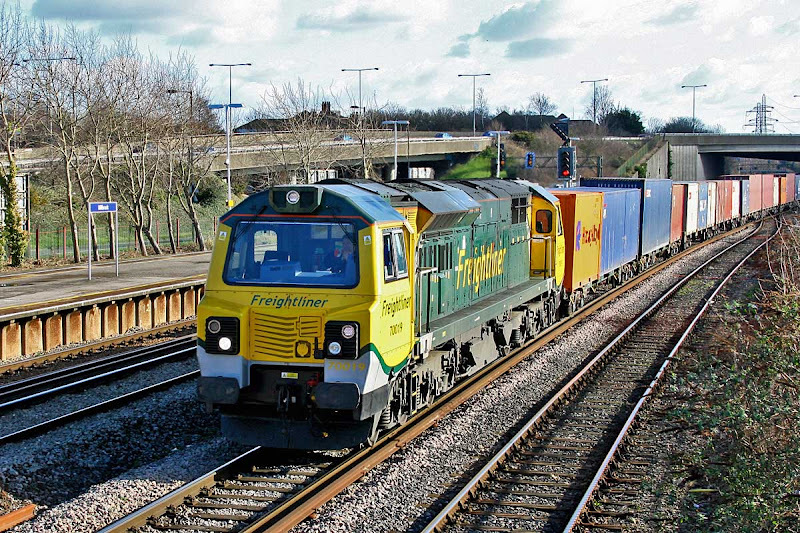 67026 + 67006 passing with the Oxford - Eastern Docks car train, 4th February. Image by Ian Knight. 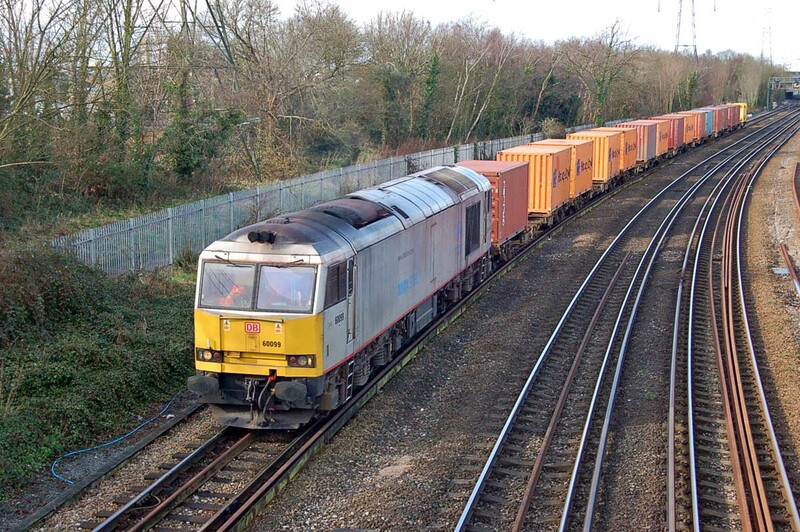 60099 with containers from Western Docks - Eastleigh, seen near Saxon Road, 5th February. Image by Ian Knight. Tata Steel colours on 60099. Image by Ian Knight. 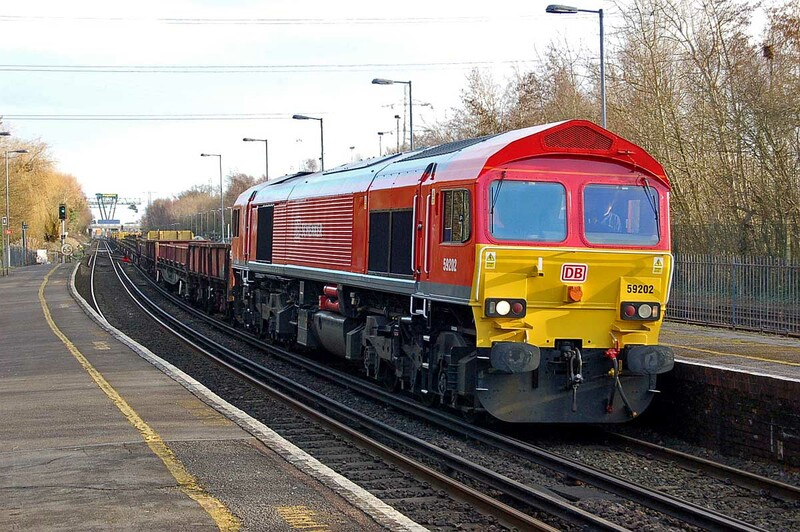 60099 heads for Westbury, through Redbridge on the 5th. Image by Ian Knight. 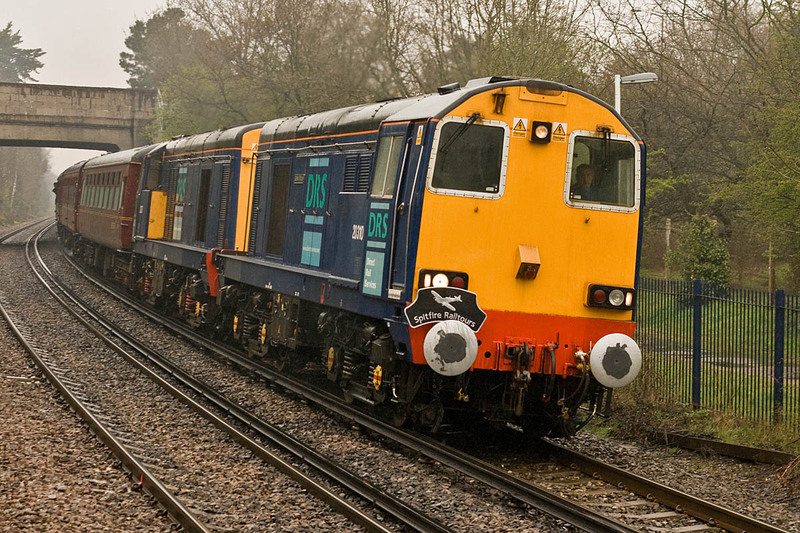 On the previous day, de-named 59202 passes through Redbridge with the Eastleigh - Westbury. Image by Ian Knight. I was privileged to visit America in the 80's and 90's, mainly through my work. 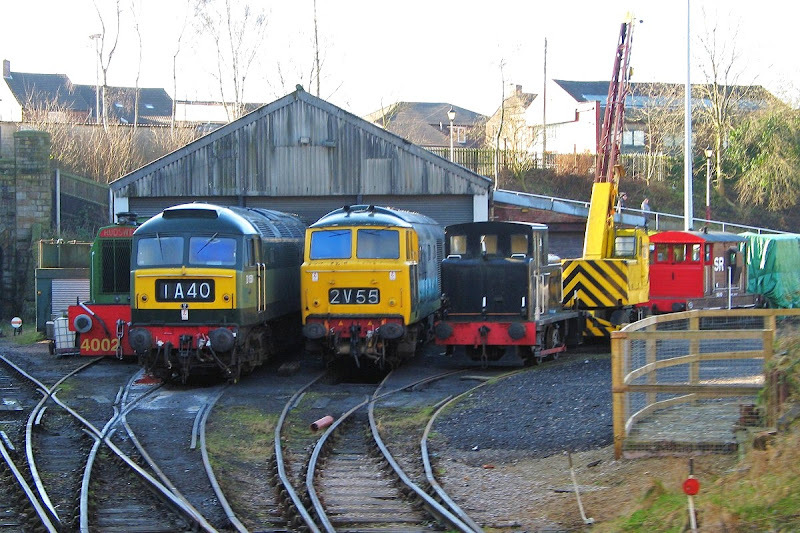 Here is a selection of motive power, all related to the mid-West. Waseca, Minnesota, on DME (Dakota, Minnesota and Eastern) on 3rd September 1989. This was a former CNW (Chicago & North Western) route, from Winona, Minnesota, on the west bank of the Mississippi, through about 600 miles to Rapid City, South Dakota, and a short distance beyond. During the grain season, extra power was required, and these CNW SD45's were re-activated from storage to cover the additional traffic. 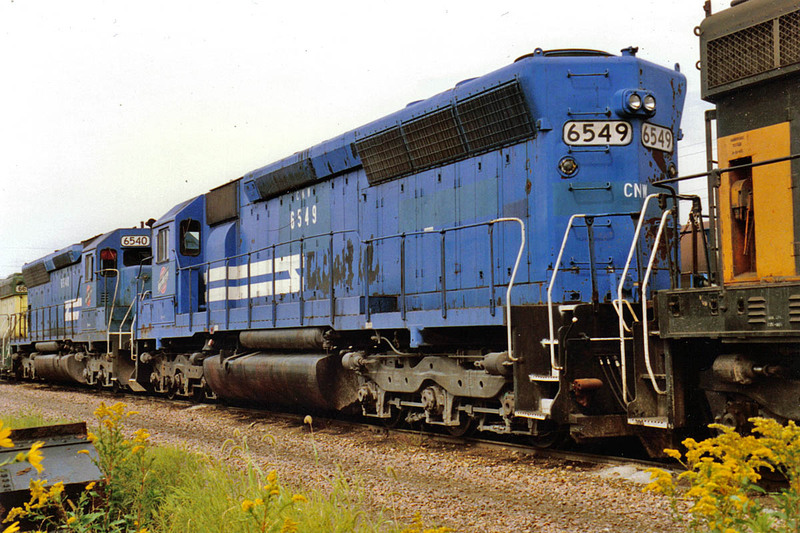 6549 is seen in Conrail blue scheme, marked up for CNW stencils, number and cab logo. It is an EMD SD45, originally Pennsylvania RR 6226, delivered in January 1968, builder's number 33850. This became a Penn Central and then Conrail locomotive retaining its number. It came to CNW on 31st March 1983, and was retired in 1994, being sold to National Railroad Equipment of Dixmoor, Illinois and moved from Boone, Iowa, to Morrison Knudsen at Mountain Top, Pennsylvania for rebuild into SD40M-2 for Southern Pacific, emerging as 8613 on 18th November 1994. The SD40M-2 programme saw the cylinder blocks cut-down from the 3600hp 20 cylinders to 3000hp 16 cylinders, and the locomotives re-engineered to DASH2 specifications, therefore becoming rather similar to what lies within Class 59. 8613 was subsequently assigned Union Pacific numbers UP 4659 and UP 2689, and is still understood to be on the roster. However it seems to be stored as 8613, reflecting the US economy, and was pictured at North Platte, Nebraska in September 2010. 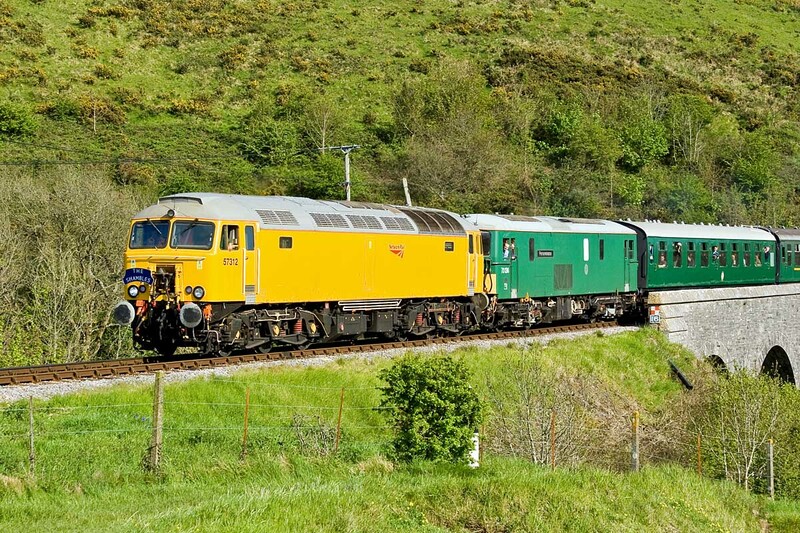 6540 seen behind it had similar lineage, as PRR / PC / CR 6217, builder's numbere 33841 arriving on CNW on 4th April 1983. 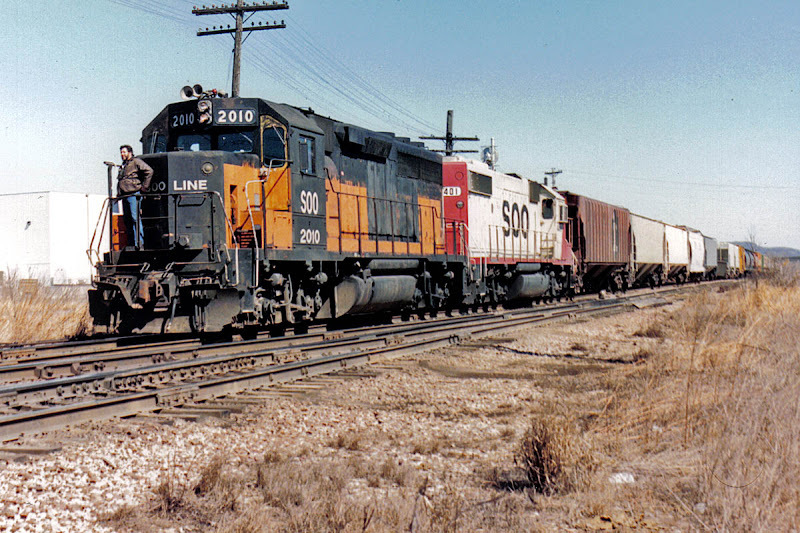 Retired in 1994 and moved from storage at Marshalltown, Iowa during June 1994, sold to Montana Rail Link, moved to Livingston, Montana on 30th June 1994, becoming MRL 373. Sold to Progress Rail in February 2007 for scrap. 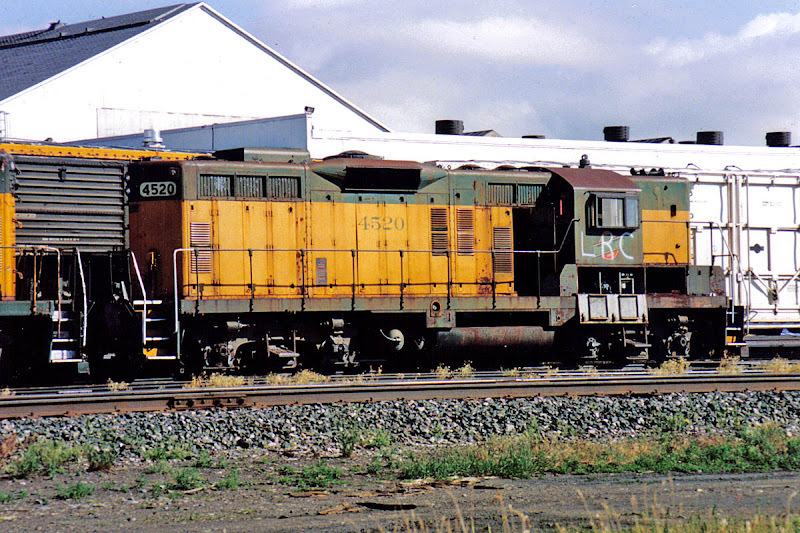 In storage at the Livingston Rebuild Center (LRC) on 20th June 1994 is GMDD GP9 4520. This locomotive, builder's number A-422 was built new in Canada in March 1954 for Quebec, North Shore & Labrador Railway as their 126, being retired in 1971-2, later sold to Bellequip Corp and operated in lease service in Canada. In 1973 was resold to Precision National, and operated in lease service in both the USA and Canada. Purchased by CNW in April 1976, and delivered in July of that year. CNW did not rebuild the locomotives 4514-4528. 4520 was retired on 27th October 1989 following storage at Oelwein, Iowa, and sold to the LRC in December of that year. No further information is recorded apart from some photos in similar location to mine, so I assume that it was disposed of here at Livingston. One tip from an American railroad photographer was not to bother taking photos in June, as the sun would be high in the sky, with the trucks in shadow, as seen here, and caused by more southerly latitudes than in the UK. My notes from this trip, uploaded on Compuserve in 1994, are still online. Wisconsin Central GP30 715 arriving at Stevens Point, Wisconsin, 26th May 1990. This was previously Soo Line 715, builder's number 28335, delivered in May 1963 as part of a batch of 22 locomotives. This locomotive is running on AAR Type B trucks (Alco trucks), through a trade-in of Alco FA-1 2220-B of 1949. The traction motors were from GE. 715 is now preserved at the National Railroad Museum in Green Bay, following retirement in November 2001. This Wisconsin Central company was created in 1987 as a spin-out of the Lake States Transportation Division from Soo Line, soon after Soo Line acquired many assets from the Milwaukee Railroad. 18 of the GP30s were part of the sale to WC, who also acquired second hand power, including SD45s, many from Burlington Northern. Stevens Point was a great place to visit for traction variety. Stevens Point is known for Point Beer, but this was then reputed not to travel well. 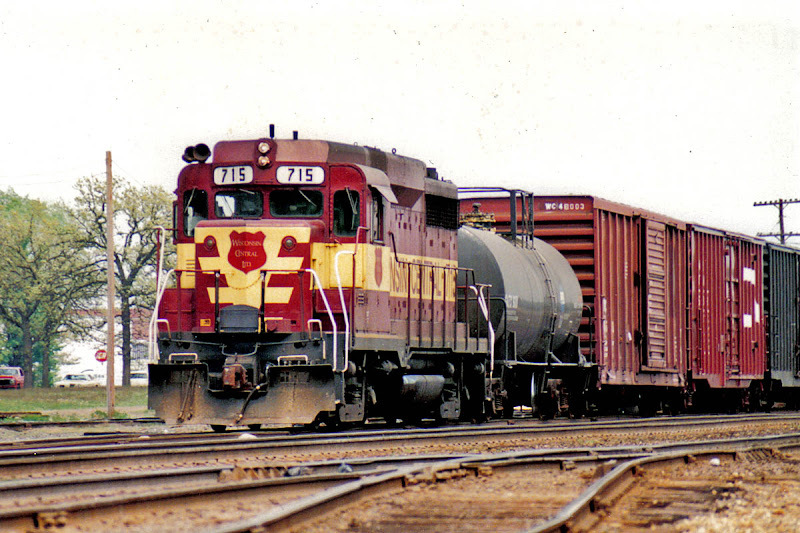 Working from Portage or Milwaukee, a Soo Line train approaches Grand Crossing at La Crosse, Wisconsin, and then the La Crosse yard, on the 24th March 1990. The lead locomotive is in the "bandit" scheme, where the Milwaukee colours were painted over in black following the acquisition by Soo Line in 1985. 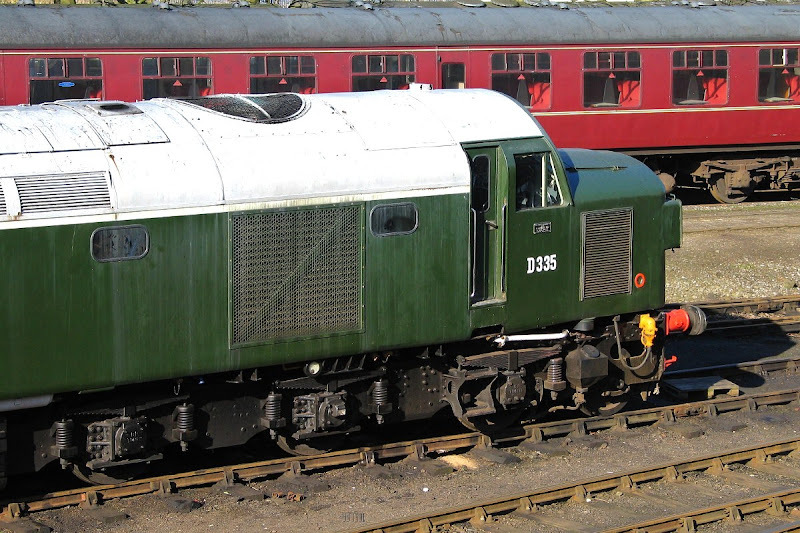 It is GP40 2010, built in March 1966 as 190, builder's number 31676. Renumbered 2010 in 1968, later rebuilt by Milwaukee Shops, and still active with CP Rail, remaining in "bandit" colours. Following is Soo 4401, a GP38-2, builders number 777020-2, delivered in September 1977, and still active with CP Rail, as a late survivor in these Soo colours. 2010 and 4401 are seen here close again in 2011. La Crosse was also a brewery town, in this case Heileman, probably best forgotten, and matters have now changed. It is busy place for trains, with Soo Line crossing BNSF, the former also carrying trains for UP.